As many of you know, I have started my Th.M program studying the Septuagint (Greek translation of the Hebrew Old Testament). My initial thought for a thesis is to explore the literary alterations/retelling of the book of Jonah that take place in translation. A sort of “lost, added, found or otherwise misplaced in translation” sort of endeavor. One thought that has plagued me as I contemplated the work necessary for this project is establishing the texts. After all, how would I determine the Hebrew Vorlage for the Greek text. Furthermore, what certainty do I have that the Greek translation is an accurate reconstruction of the original translation? Both the Hebrew and Greek text editions have a transmission history of their own leaving an associated family of texts from which pericopes for this study must be selected. We must also deal with the issue of how to handle variants within the text editions we select for the analysis. This study will not embroil itself in the debate over which may represent the purer form of the text. Rather the most well-received text editions will be adopted for the investigation. 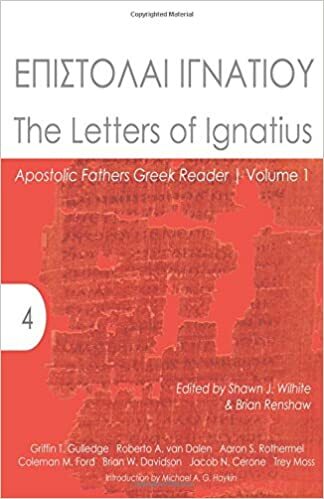 This study will use the Massoretic Text as it is found in the Biblica Hebraic Stuttgartensia and the Göttingen reconstruction of the Septuagint where it is available. Where that edition is not yet available, Alfred Rahlf’s Septuaginta will be employed. It will be assumed that the Hebrew text we use was the Vorlage of the Septuagint translation. This will approach will certainly make any analysis of the two texts easier, though I am not sure it is the best solution. I do not offer this as a criticism of Beck’s work. After all, he fesses up in the introduction that it is a limitation of the work. Regardless the methodological approach I adopt, I find it a relief that this is a legitimate option. This entry was posted in Biblical Studies, Greek Resources, LXX, Quotes and tagged John Beck, Translators as Storytellers. Bookmark the permalink.